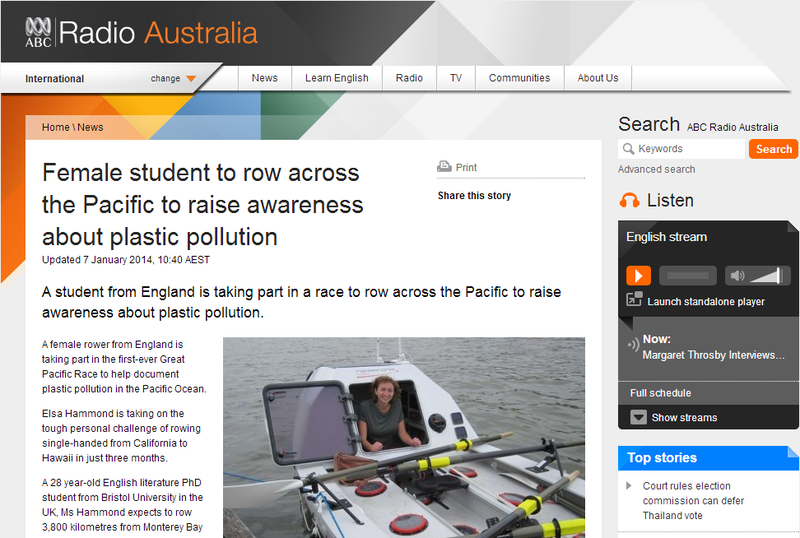 Elsa was interviewed on Radio Australia (and syndicated across the whole South Pacific region!) on ABC’s Radio Australia. ABC are the equivalent of the UK’s BBC so it is a real privilege to be featured on their services! Elsa found it very strange staying up late to be interviewed in what was the next morning in Australia, but enjoyed the experience nonetheless! Audio and a transcript are available here.